Have you been following the epic journey of The Heart, She Holler's second season, which is airing every weeknight on Adult Swim this month? 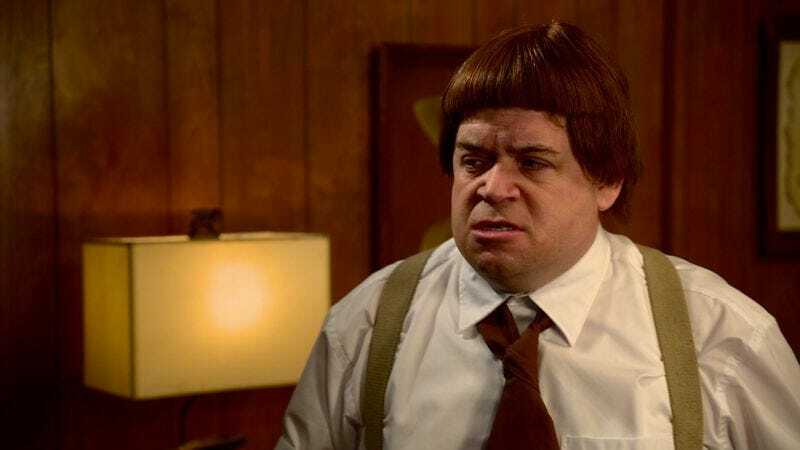 The tale of man-child Hurlan Heartshe—played with goofy panache by Patton Oswalt—is coming to an end soon, and we've got an exclusive clip, given to us in a blatant attempt to get you to tune in. Check it out if you enjoyed Wonder Showzen or Xavier: Renegade Angel, because it was created by the same gentlemen. (Here's an interview we ran with them recently.) Enjoy, or face the consequences of the Heartshe curse.